This breathtaking 1 Light Mini Pendant with White Finish is a beautiful piece from our Suzie Collection. With its sophisticated beauty and stunning details, it is sure to add the perfect touch to your dicor. This European-inspired cone-shaped pendant with its heirloom gold interior and glazed metal structure adds a warm ambiance to transitional dicor. The Bronx is a stunning piece that's dramatic on its own or when grouped with other members of the collection for maximum illumination and effect. 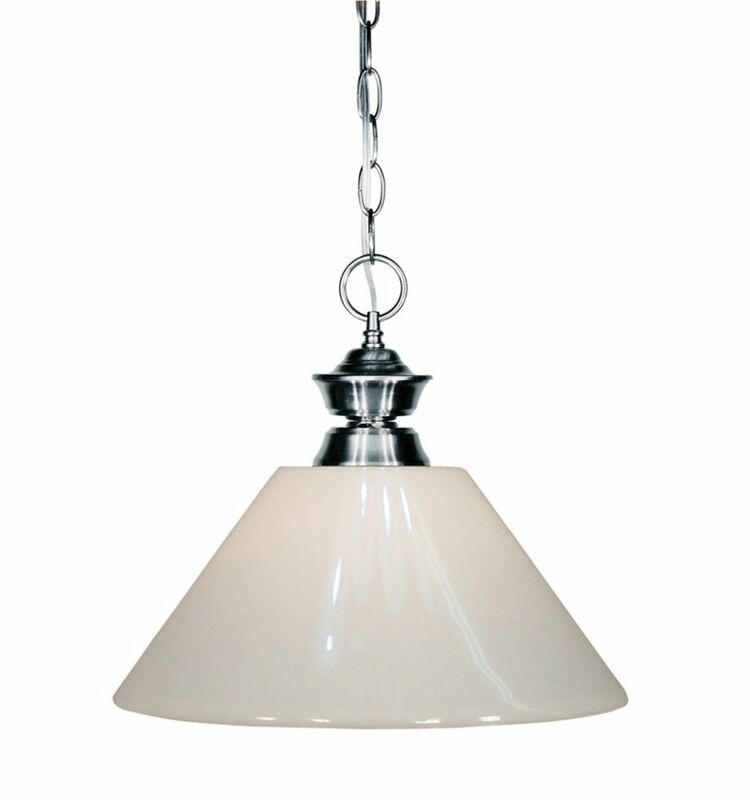 1-Light Gun Metal Pendant with White Plastic - 14 inch This island/billiard will update your home with its eye-catching design. Featuring a gun metal finish and white shade(s), this fixture will accommodate a variety of dicor styles. With its easy installation and low upkeep requirements, this island/billiard will not disappoint.